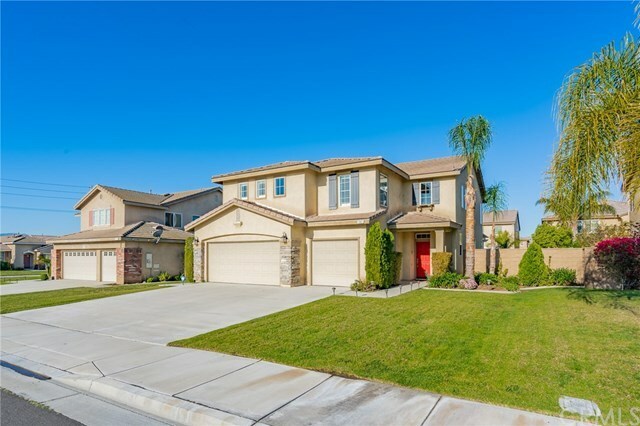 Spacious and highly upgraded 2 story home in the city of Eastvale. Enjoy the spaciousness along with gorgeous engineered wood flooring throughout the first level with beautiful plantation shutters. The entire first level has a beautiful open space concept that will surely capture your heart. Beautiful quartz countertops, upgraded stainless steel appliances, newer modern cabinets with ample storage capacity. The Master Bedroom has a beautiful suite with upgraded dual vanity sinks, separate victorian style bathtub and walk in shower. Conveniently located near to freeway, dining and shopping. This great opportunity will not last, schedule a private showing today!